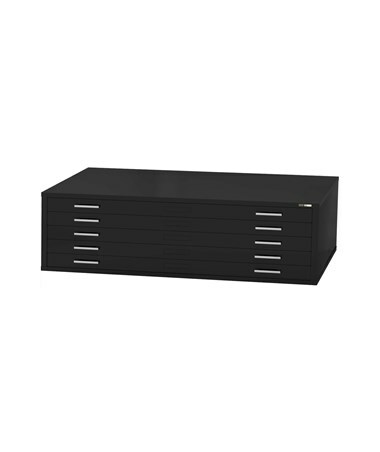 The Mayline 5-Drawer Museum File is the large storage file for archival storage. 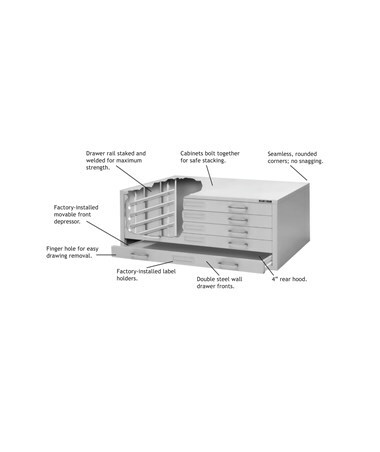 This blueprint file cabinet is designed to preserve the pristine state of its contents for a long time. 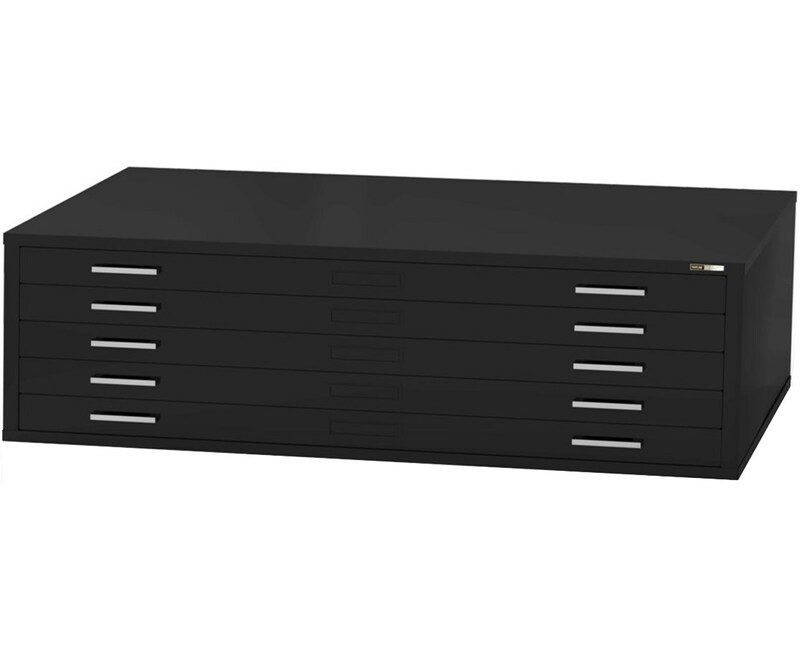 It can hold documents up to 200 sheets or up to 40 pounds per drawer. Plus, it includes an integral cap that allows the files to be bolted together for stacking. 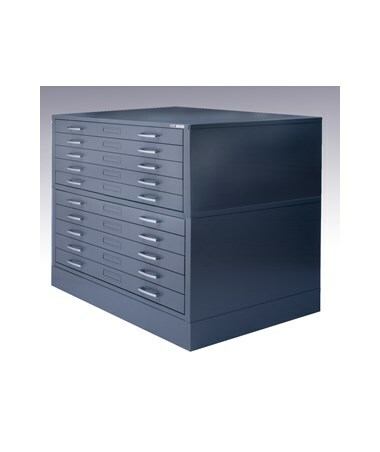 This file can be stacked up to three files on a low base and one file on a high base (bases sold separately). 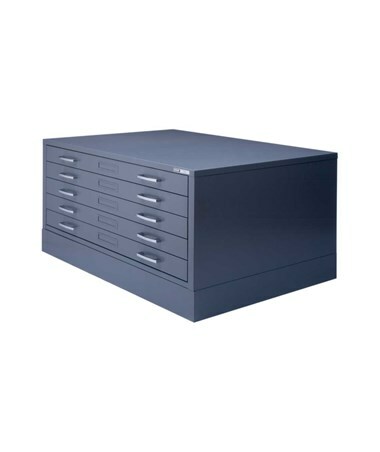 This Mayline flat file comes with drawers equipped with a front metal depressor and a rear hood to keep documents in order. Plus, it comes with drawer suspension that uses a greaseless nylon rimmed ball bearings to eliminate metal-to-metal contact and abrasion. It also has a fully enclosed drawer cabinet bottom. To prevent outgassing, it has a paint finish. Also, it includes chrome handles and label holders for an easier file organization. 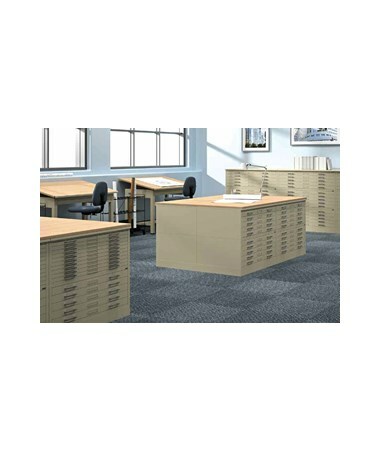 This document storage is Intertek Green Leaf certified and comes with a limited lifetime warranty. 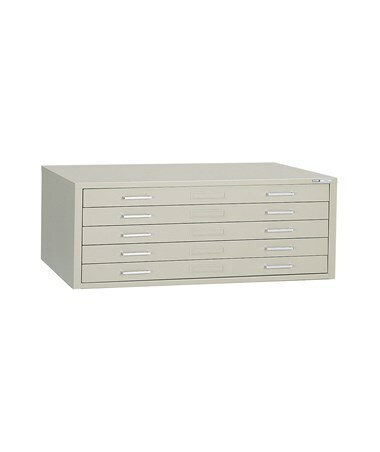 The Mayline 5-Drawer Museum File offers three models with different sheet sizes and various color options. Please select your preference from the drop-down menu above.